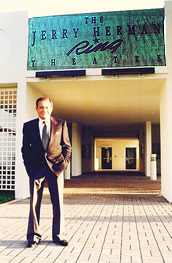 ‌‌Hit Broadway musicals Hello, Dolly!, Mame, La Cage Aux Folles and Mack and Mabel are home to some of the most popular musical heroines of all time, and have given Jerry Herman the distinction of being the only composer-lyricist in history to have had three musicals that ran more than 1,500 consecutive performances on Broadway. His credits also include the Broadway mega-hits Mame(1966), Dear World (1969), Mack and Mabel (1974) – Jerry’s favourite score, The Grand Tour (1979), which received two Tony nominations for Best Musical and Best Score, and La Cage Aux Folles (1983), which is considered to be one of Jerry’s greatest accomplishments earning nine Tony nominations, including six awards for: Best Musical, Best Actor in a Musical, Best Director of a Musical, Best Book, Best Score and Best Costume Designer. In 1985, Jerry's Girls, a collection of Jerry’s favorite Broadway songs, made its debut on Broadway. 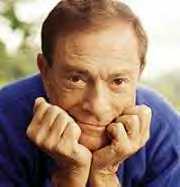 ‌Jerry’s credits extend beyond Broadway, with his work in television and film, as well as the release of several albums. In1996 he wrote songs and collaborated with his friend and former colleague Angela Lansbury to produce Mrs. Santa Claus. Jerry also united with comedienne, entertainer and singer Carol Channing to complete the album Hello, Dolly! with Carol Channingthat contained music from the 1964 Broadway hit.